Click to enlarge Pearl Festival 2013. The Pearl Festival is a celebration of Peace Earth Air Resonance and Love. 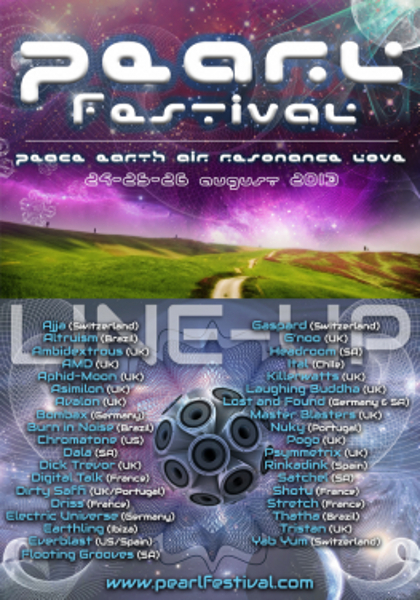 The theme for the festival is "The White Magic Forest"
advocate and acknowledge the massive contribution that art, creativity and expression have made to the "Psychedelic Trance movement".